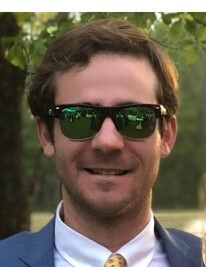 Mr. Harper Joseph Bunch, 26 of Bamberg, SC passed away Friday, October 12, 2018. Funeral services for Mr. Bunch will be held 1:00 PM Tuesday, October 16, 2018 at Bamberg First Baptist Church 11823 Heritage Highway Bamberg, SC 29003 with Rev. Charlie Lucas and Brad Hudson officiating. Burial will follow at McMillan Cemetery. He was born in Orangeburg, SC on September 10, 1992 to John Randall Bunch, Jr. and Angela McMillan Bunch. He was a graduate of Bamberg-Ehrhardt High School, University of South Carolina and was attending Charleston School of Law. He was an avid golfer and sports fan. He loved to play his guitar and sing. He also shared his love for his dogs. He is survived by his parents, John Randall (Karla) Bunch, Jr. and Angela McMillan Bunch, brothers John Randall (Trey) Bunch, III, Cameron Hilton Bunch, his paternal grandmother Dolores Hilton Bunch, and his maternal grandparents Joe and Joyce McMillan, stepbrothers Alexander Sims, and Ashton Sims, several aunts and uncles, cousins, and a special friend McKenzie Best. He was predeceased by his paternal grandfather John Randall Bunch. The family will receive friends Monday, October 15, 2018 from 6:00PM until 8:00PM at Bamberg First Baptist Church Fellowship Hall.